We are very lucky to have three beautiful old apple trees in a small orchard at the back of the farm. 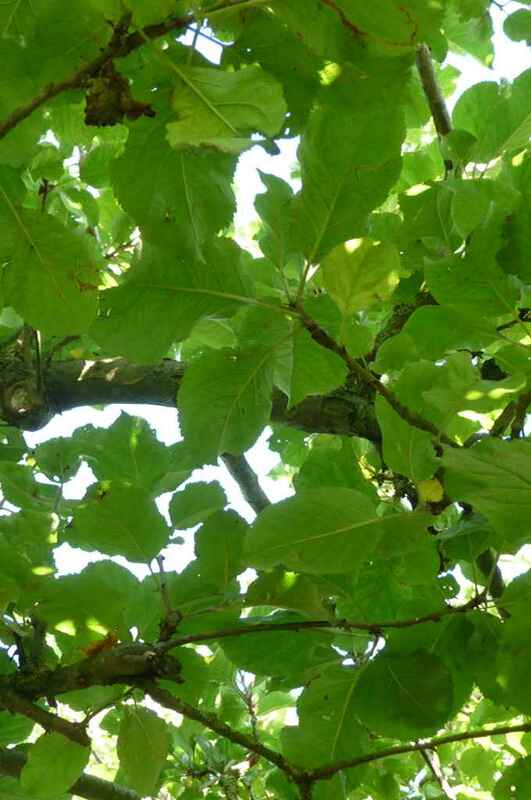 Many happy summer afternoons have been spent lying in hammocks in the dappled shade – and all of the children, as small babies, have been mesmerised by the shadows of the leaves as they lay on blankets underneath. We don’t have quite so much time to do that now, but I am determined that my children will have an orchard to enjoy when they are my age. The old apple trees keep producing an abundance of fruit each year, but they were planted in the 1960’s and can’t last forever. 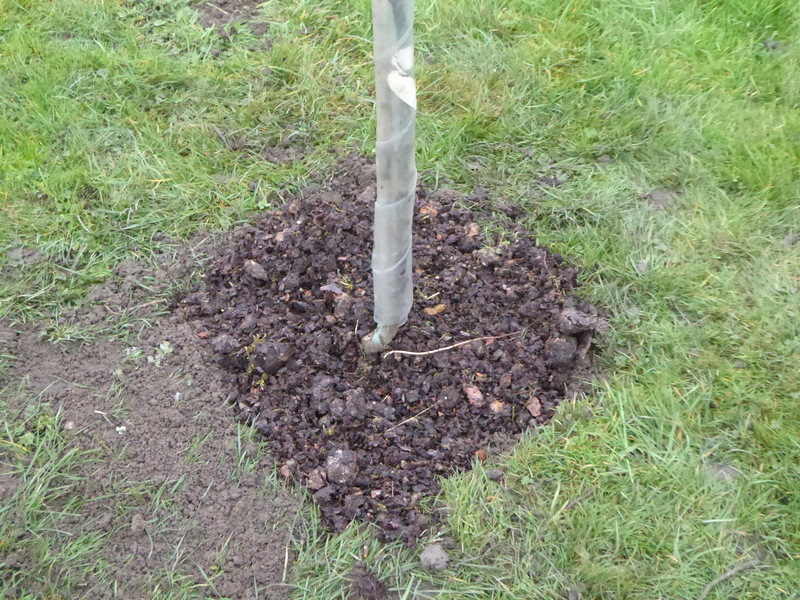 So, it is time to think ahead and plant a new orchard that can take over when these trees have had enough. As much as I love apples, it would be exciting to have some variety in our homegrown fruit. We currently have one eating apple tree and two cookers. 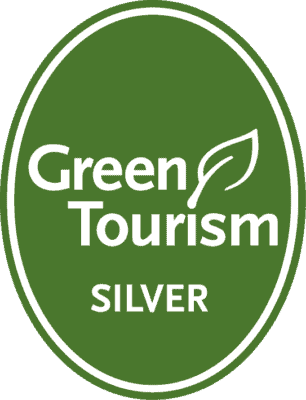 It also seems appropriate to choose traditional varieties that come from our local area. 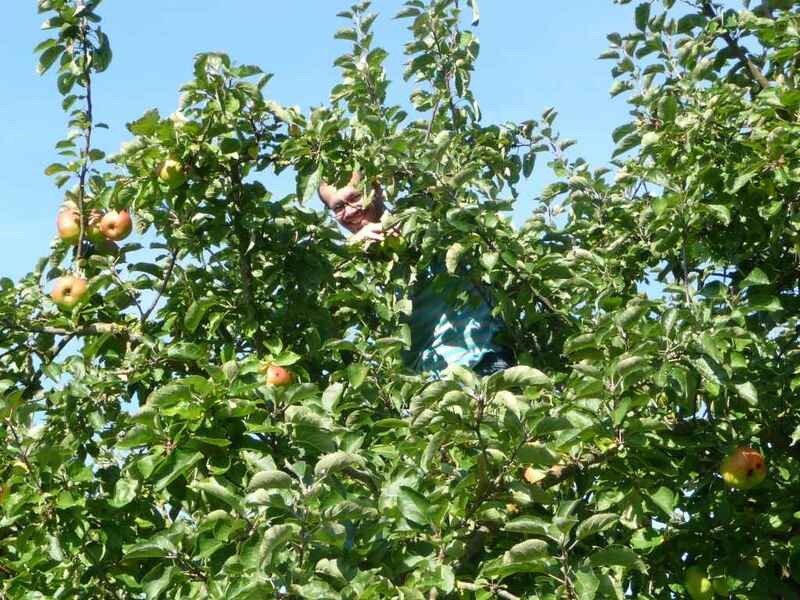 I have no idea what variety our apple trees are, and every year we talk about taking some of the apples to the local apple fair to find out. Finally, I would like to be able to pick the fruit without having to climb precariously up ladders. The current trees are the traditional standard size and stand between three and four metres in height. They are beautiful, but very large, and the fruit at the topmost branches is well out of reach. So with this in mind we have chosen to plant a selection of half standard fruit trees – two cherries, two plums, two apples and two pears. 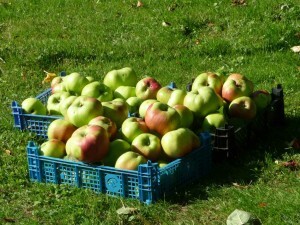 Below are the traditional varieties that we have chosen, purchased from the East of England Apples and Orchards Project. The perfect spot seemed to be at the front of the farm, on one of the long sections of grass running down either side of the drive to the gate. I have a vision of our guests enjoying their picnics, or afternoon tea, under the orchard trees in the future so it seemed to make sense to put them here. Perhaps we could even have an orchard camp! Within a few years we should have fruit available through the summer months so that campers can pick their own. 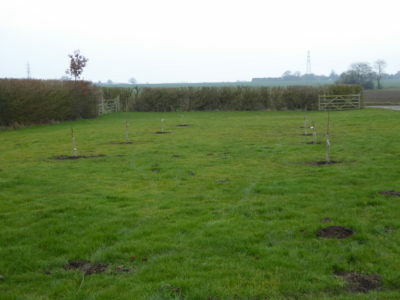 We also plan to put up a fence around the orchard so that the chickens can make it their new home. They roam free across the farm in the winter (although not at the moment due to the current Avian Flu restrictions), but have to be contained in the summer as they spend too much time hanging out in the camp kitchen. They will be able to get access to a lot more grass all year round and will help keep any insect pests in check. For now, the new trees have been planted (in less than ideal conditions, so fingers crossed) and look wonderful, if a little small. 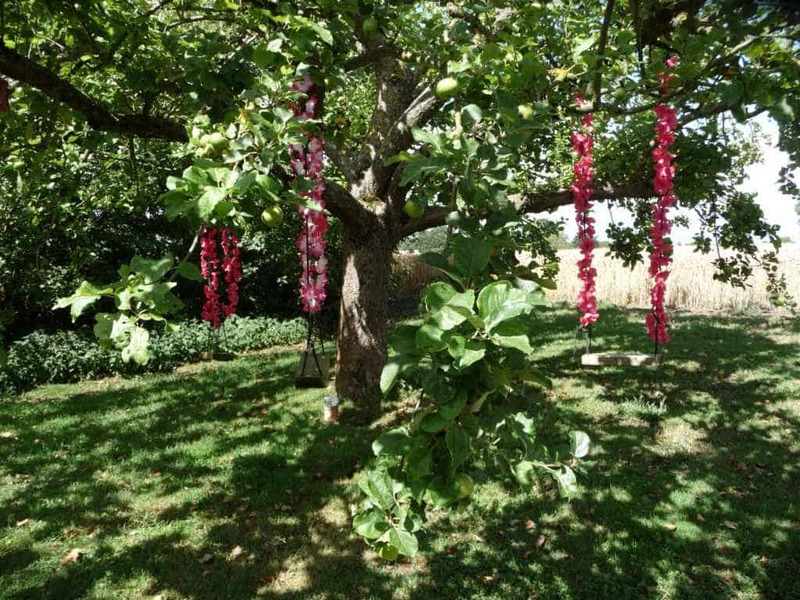 I am really looking forward to chatting with guests on a summer evening in the shade of the orchard – I am just going to have to be patient!